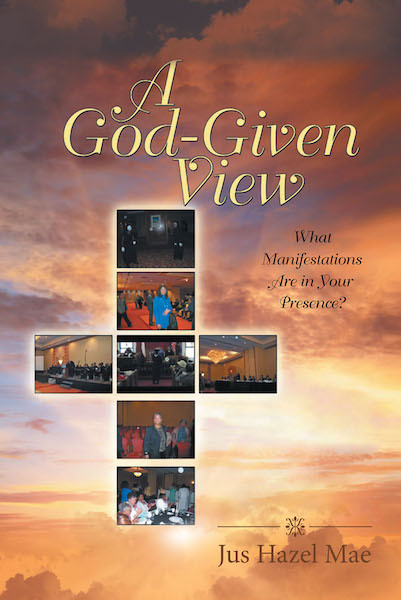 A God-Given View: What Manifestations Are in Your Presence? There is more to this world than what is visible to the human eye. In A God-Given View, author Jus Hazel Mae shares a collection of photographs she's taken since 2005 that depict manifestations in the scenery, and she provides evidence of spiritual happenings and beings in those images. Combined with her personal experiences and ample scriptural references, Hazel offers a look at the manifestations that generally are seen in sphere, circle, oval, winged, teardrop, and ray shapes. For each photograph, she describes the shape and discusses what it means in context to her life, her family's life, and how it directly relates to spirituality and God's message. Through her life story and the collection of photographs, A God-Given View encourages Christians to stand up to scripture, take advantage of the opportunities God is providing, and save themselves from hell and from Satan's plans.